HAPI is a system for use as visual slope guidance on heliports and offshore helidecks. One HAPI system is for one helicopter approach path using board mounted LEDs. It is installed on the side opposite the approach, facing across the landing area. Digital leveling and aiming by means of a hand held field programming device. This may also program the alarm tolerances. 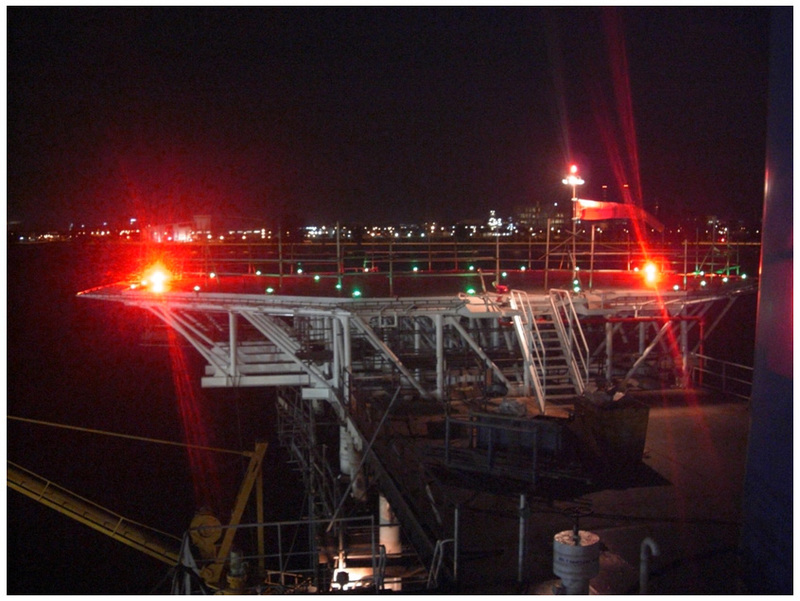 VAGS-SAGA is a system for use as visual horizontal alignment on heliports and offshore helidecks. VAGS is the ICAO nomenclature appearing in Annex 14, Volume II, Chapter 5 “…located such that a helicopter is guided along the prescribed track towards the FATO.” This is also popularly referred to as SAGA. One VAGS system is for one helicopter approach path using board mounted LEDs. There are two units installed facing the approach and arranged for left & right signals. Digital leveling and aiming by means of a hand held field programming device. Brightness control is standard. Our warranty for all our USA manufactured products is 6 YEARS, the longest in the heliport lighting, marine helideck lighting and aviation obstruction lighting industries.